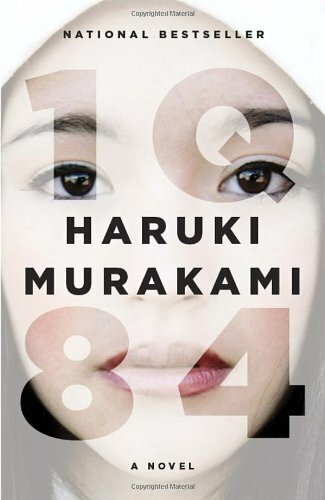 1Q84 is one of the most notable works of Haruki Murakami. This is the second book of Murakami that I've read after Norwegian Wood. 1Q84, which consists of three books, is both strange and likable. It has a fantasy element, making it mysterious and bizarre but in a positive way. Unlike his other novels, this one uses a point-of-view perspective. It focuses on two characters - Aomame and Tengo - and the book's perspective switches between them. In the third book, another character's point-of-view is added, someone who is the antagonist (though he's not really a villain). I won't describe this book as exciting. It's very long and my sister thinks it's long-winded. Granted, this is exactly what I love about the book. Most of the things that you will read are about the characters' thoughts. It's like going inside their mind, which is interesting for me. I feel like being their friend, and it's hard not to get attached to them. To give you a little background, the book revolves around the life of two people living a double life- Aomame, a sports club instructor and part-time assassin, and Tengo, a Math instructor and an aspiring novelist. Both are seemingly two unrelated people whose lives are intertwined after their involvement with Sakigake, a powerful religious cult. Mysterious things start to happen around them, which make them realize that they're no longer living in the same world. They put themselves in danger as they search for answers. To be honest, this is the kind of book that makes me scratch my head. After I finished the book, I had to watch a no-brainer cartoon show to make my mind work again. Oddly, this makes me love the book all the more. It's not exactly a page-turner because the story is too slow-paced for me. Still, it is very captivating. If you're looking for a weird and gripping book to read, I highly recommend 1Q84. I promise that this is one book that you'll never forget. It sounds like a vague yet engrossing novel. Great review! I believe most of Haruki Murakami's books are vague and hard to understand, but they're still addicting.